Boomdan Women Sleeve Stripe Print Scarf Shawls Wraps Lightweight Floral Pattern Satin for Headscarf&Neck (Blue) by Boomdan at Angels Touch Vegas. MPN: g4h1f. Hurry! Limited time offer. Offer valid only while supplies last. - Care Instructions: Hand Wash Cold; Dry Flat. NOTE: Please wash before you first dress because there maybe exists a little floating color. But rest assured that it will be ok after your first washing. 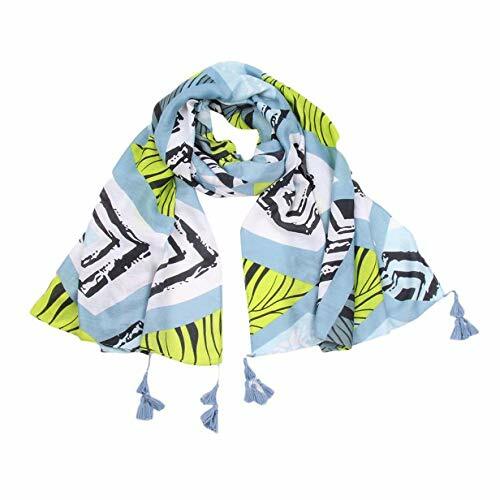 - Use: Folded to be worn as a scarf around your neck; Make it like an infinity scarf or wear it as a head wrap; Large enough for wearing as a summer shawl around your shoulders. If you have any questions about this product by Boomdan, contact us by completing and submitting the form below. If you are looking for a specif part number, please include it with your message.